A Pakistani-born man was arrested Wednesday and charged with trying to help people posing as al Qaeda operatives plot to bomb Washington-area subway stations. 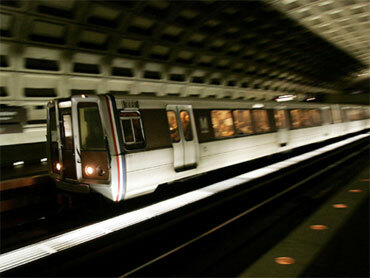 The bombing plot was a ruse over the past six months, the FBI said, but 34-year-old Farooque Ahmed readily handed over video of northern Virginia subway stations, suggested using rolling suitcases rather than backpacks to kill as many people as possible and offered to donate money to al Qaeda's cause overseas. A senior law enforcement official confirmed the sting to CBS News. The source described a "lone wolf" scenario, in which there was no actual communication with al Qaeda or real plot beyond what was in the suspect's imagination. The public never was in danger because FBI agents were aware of Ahmed's activities and monitored him throughout, the agency said. And the people that Ahmed thought were al Qaeda operatives were actually individuals who worked on behalf of the government, according to a federal law enforcement official who requested anonymity to discuss details of the case. Ahmed was indicted under seal on Tuesday, and the charges were made public Wednesday. He is accused of attempting to provide material support to a designated terrorist organization, collecting information to assist in planning a terrorist attack on a transit facility, and attempting to provide material support to carry out multiple bombings to cause mass casualties. Ahmed, a naturalized U.S. citizen, lives in Ashburn, Virginia, outside Washington. During a brief court appearance in federal court, Ahmed did not enter a plea and was ordered held without bond. He told U.S. Magistrate Judge John Anderson he could not afford to hire a lawyer. Prosecutors said they planned to use some classified information as evidence in the case. U.S. Attorney Neil MacBride said in a statement that it was "chilling that a man from Ashburn is accused of casing rail stations with the goal of killing as many Metro riders as possible through simultaneous bomb attacks." Ahmed's arrest comes as the U.S. has been struggling with an uptick in Americans plotting terrorist attacks in the past 18 months. Last week, a Hawaii man was arrested for making false statements to the FBI about his plans to attend terrorist training in Pakistan. In August, a Virginia man was caught trying to leave the country to fight with an al Qaeda-affiliated group in Somalia. And in May, Faisal Shazhad, a naturalized citizen also from Pakistan, tried to set off a car bomb at a bustling street corner in New York City. U.S. authorities had no intelligence about Shahzad's plot until the smoking car turned up in Manhattan. The FBI has made several cases with agents working undercover: Last year, authorities arrested a Jordanian national after he tried to detonate what he thought was a bomb outside a Dallas skyscraper. In an unrelated case, authorities in Springfield, Illinois, arrested a man after he tried to set off what he thought were explosives in a van outside a federal courthouse. In both cases, decoy devices were provided to the men by FBI agents posing as al Qaeda operatives. A law enforcement source told CBS News that the FBI was tipped to Ahmed in late spring or early summer. Federal investigators said that, starting in April, Ahmed met several times with people he believed were al Qaeda operatives. During one of those meetings, investigators said, he agreed to watch and photograph a hotel in Washington and a subway station in suburban Arlington, Virginia. He also was accused of recording video of an Arlington subway station on four occasions, and agreeing to get security information about two stations. •	Ahmed took video of four northern Virginia subway stations - Arlington Cemetery, Courthouse, Pentagon City and Crystal City, which is near the Pentagon, and monitored the security at a hotel in Washington. In a series of meetings at hotels in northern Virginia, Ahmed provided these videos to someone he believed was part of a terrorist organization and also said he wanted to donate $10,000 help the overseas fight and collect donations in a way that would not raise red flags. •	In a Sept. 28 meeting in a Virginia hotel, Ahmed also suggested that terror operatives use rolling suitcases to blow up the subway instead of backpacks. During that same meeting Ahmed said he wanted to kill as many military personnel as possible and suggested an additional attack on a Crystal City subway station. The indictment alleges he also handed over diagrams of the Arlington subway stations and gave suggestions about where to put explosives on trains to kill the most people in simultaneous attacks planned for 2011. "This is another important example of work by the FBI - by all levels of our law enforcement and by our national security team to keep our country safe. Those groups have been on top of this case from the beginning. And at no point was the public in any danger," White House Press Secretary Robert Gibbs told CBS News White House correspondent Mark Knoller. In a statement, David Kris, assistant attorney general for national security, said the case "demonstrates how the government can neutralize such threats before they come to fruition." Ahmed faces up to 50 years in prison if convicted.